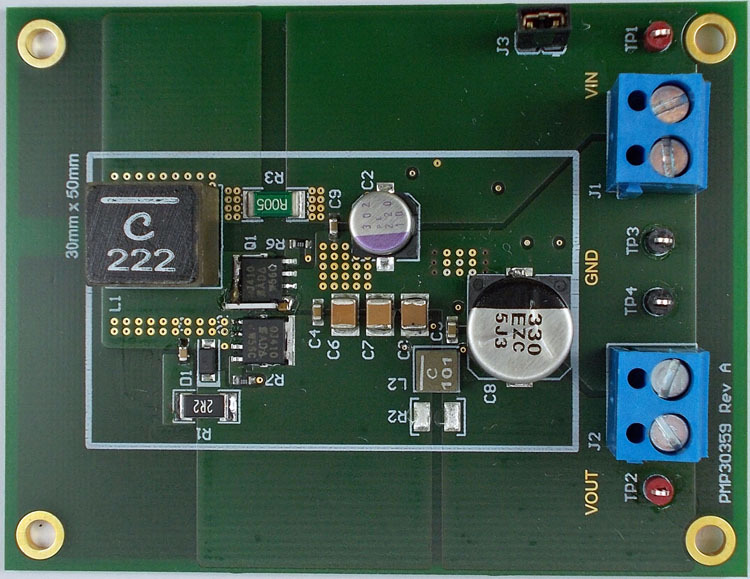 This reference design features an automotive synchronous boost converter: which can be configured for two different output voltages. A regulated input voltage of 5.0 V is converted to either 8.0 V or 14.0 V. The maximum load current for both output voltages is 3.5 A. The design has been space optimized to fit into an area of 30 mm x 50 mm in order to fit into ADAS applications.